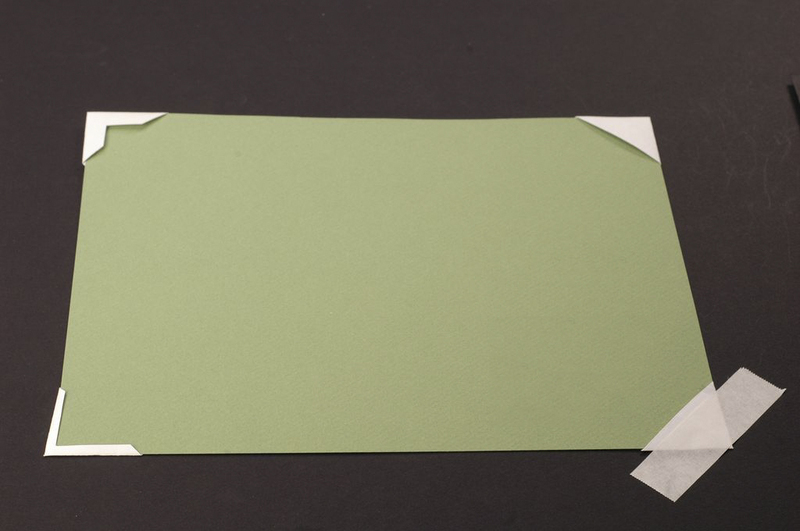 Making paper mounting corners has many advantages. 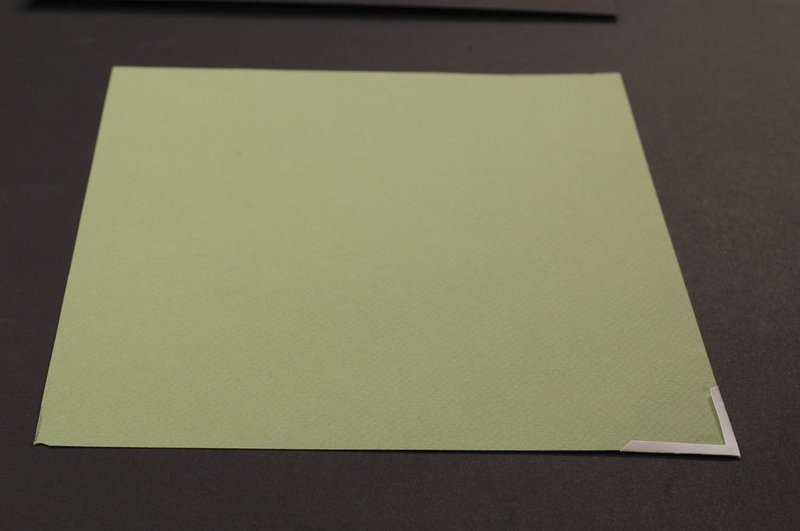 The paper corners have no adhesive that touches the artwork and they can be made any size you need. 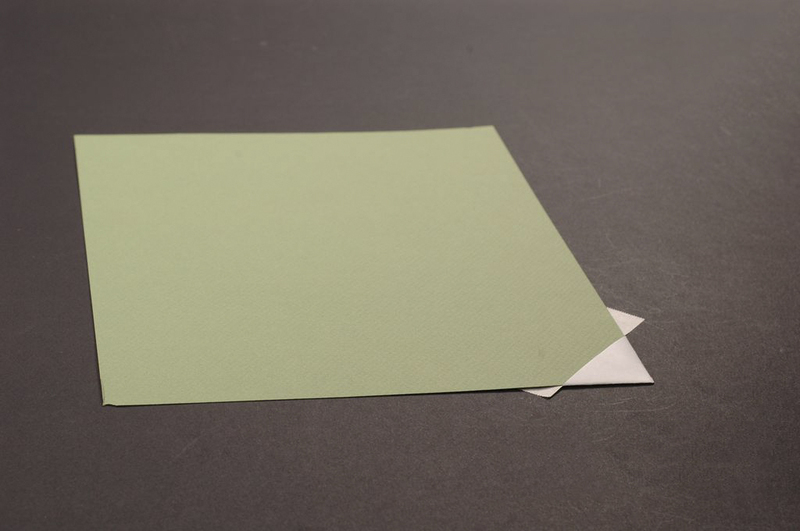 Made from archival paper they are safe to use on fine art. The paper is also softer than plastic corners ensuring another level of safety when handling the art. 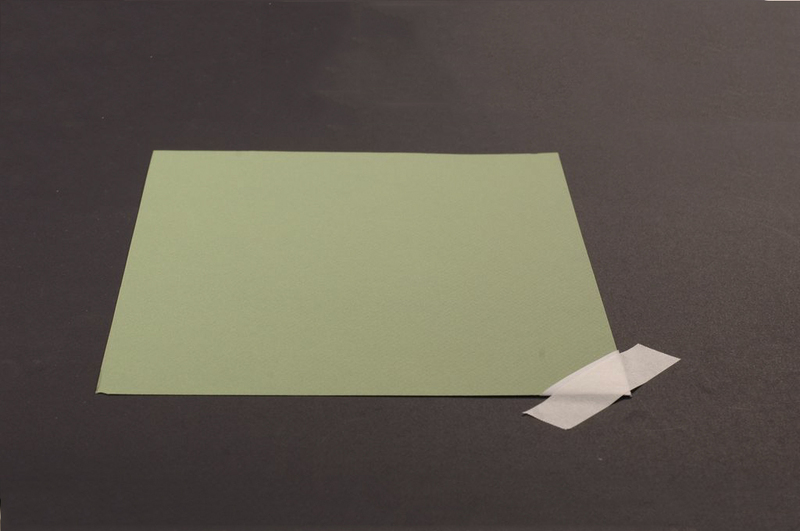 We recommend using an archival paper such as Permalife to make your mounting corners. 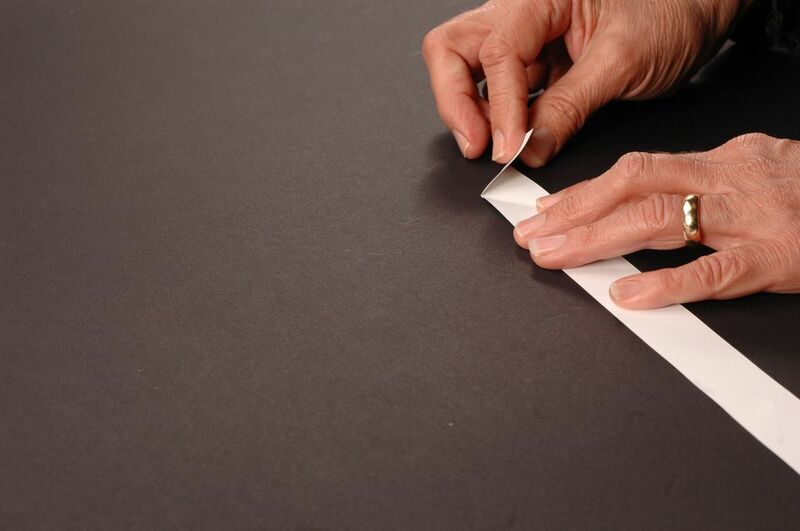 The first thing you do is cut the paper into strips. You can make them as wide of narrow as you need for the artwork you are mounting. 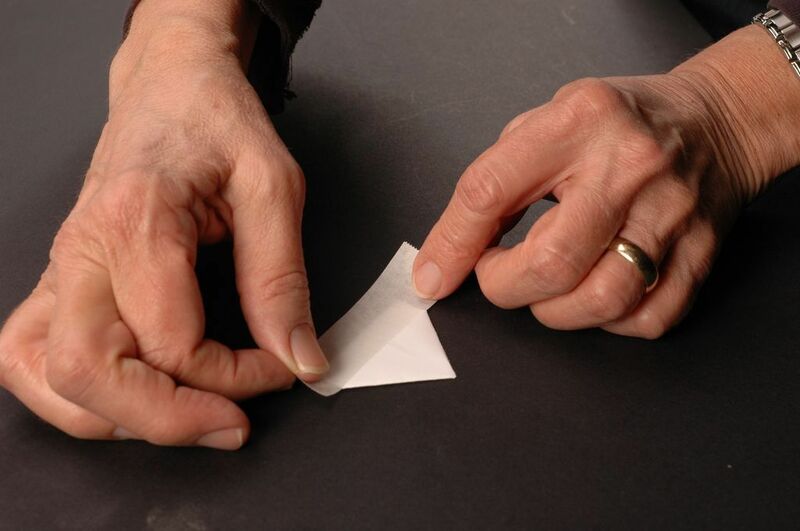 Then fold over the other side making a triangle. 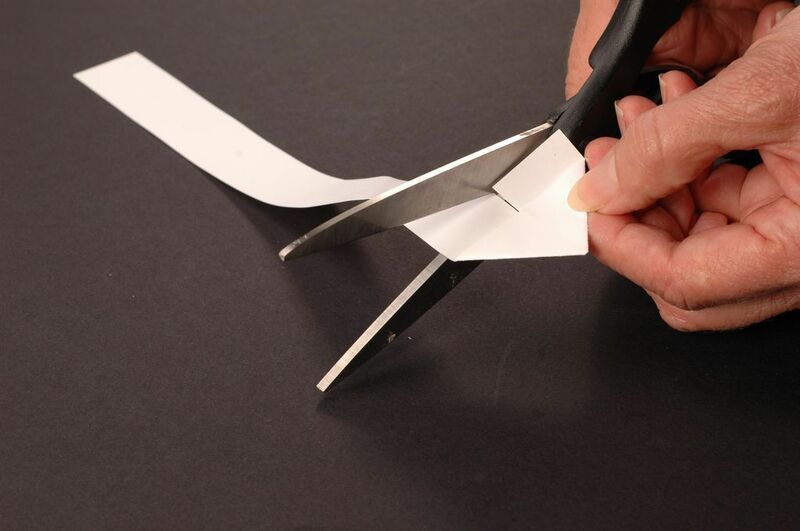 Then cut off the excess paper. leaving enough so you have tabs on the bottom. Turn the corner upside down. 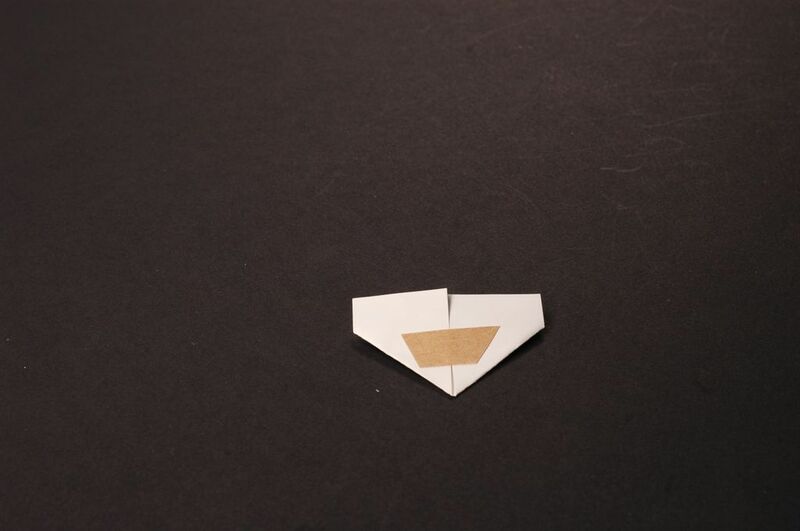 Then take 3M 415 double faced tape with a single release paper and attach it to the back of the corner. 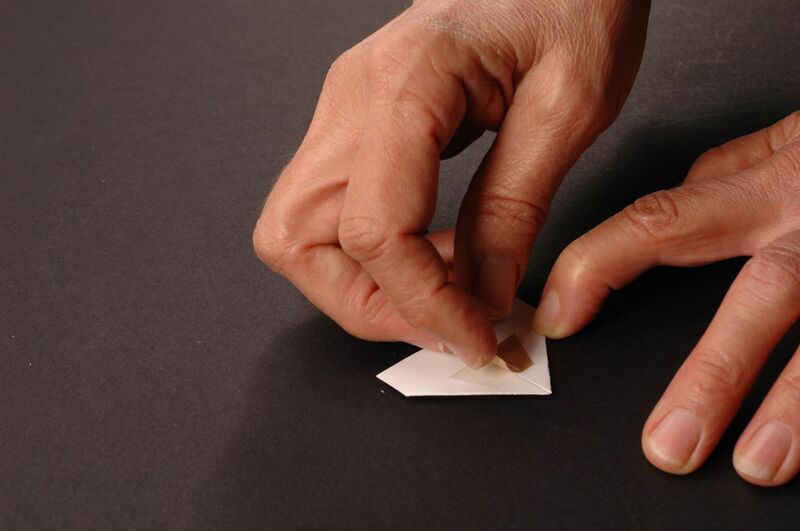 Make sure the edges of the paper are aligned and there is no space between them. 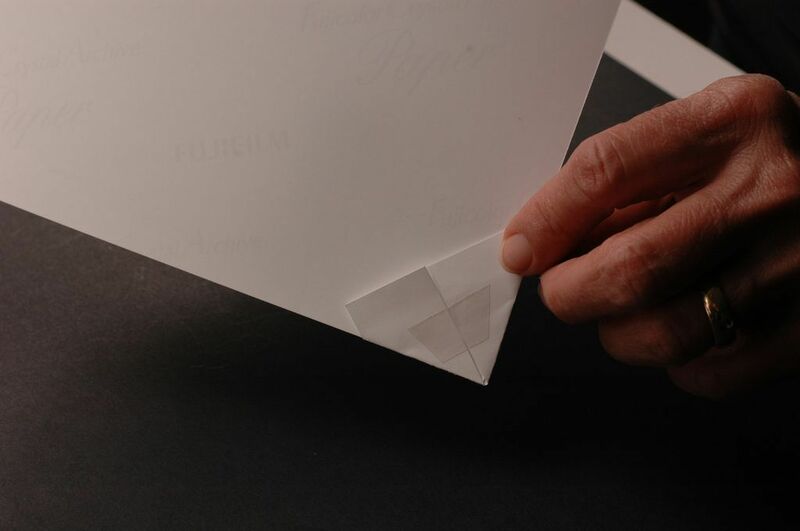 Then pull off the release paper and it is ready to be attached to the backing board. This is what the double faced tape look like after it is attached to the back of the mounting corner. Now take filmoplast tape and place it over the tabs on the mounting corner so you can adhere it to the backing board. This is the mounting corner on the artwork. This is another kind of mounting corner which does not have tabs. 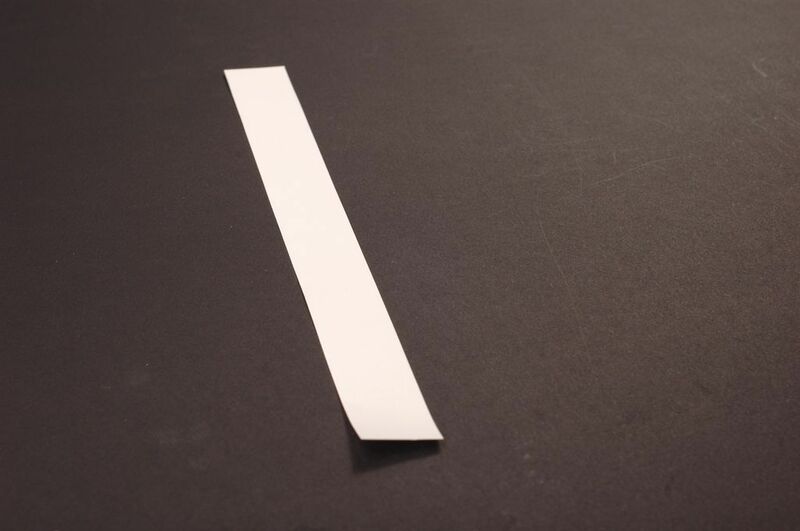 Like the example above take the 3M 415 double faced tape and attach it to the back of the corner. In addition to the double faced tape you can take filmoplast and tape it over the corner to help adhere it to the backing board on heavier artwork. Artwork that has very narrow borders will need a mounting corner that covers less of the artwork. 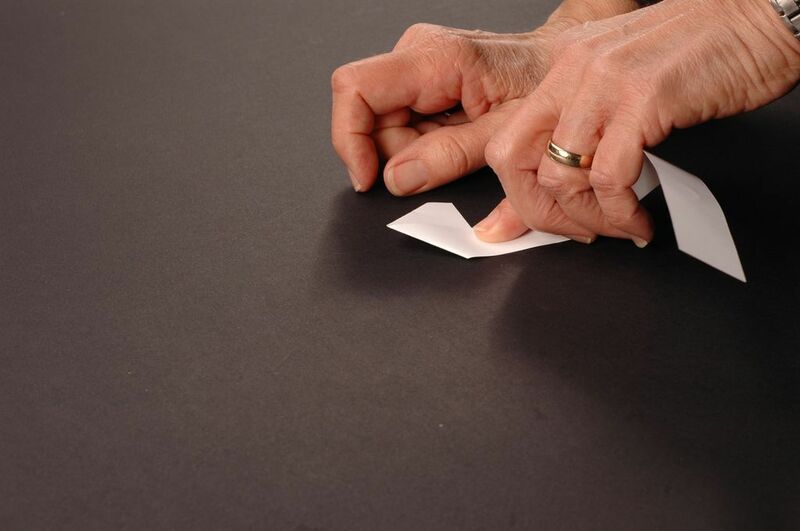 The mounting corners can be cut with a scissors to any size you need. The type of corner you make will depend on the border size of your artwork/photograph. 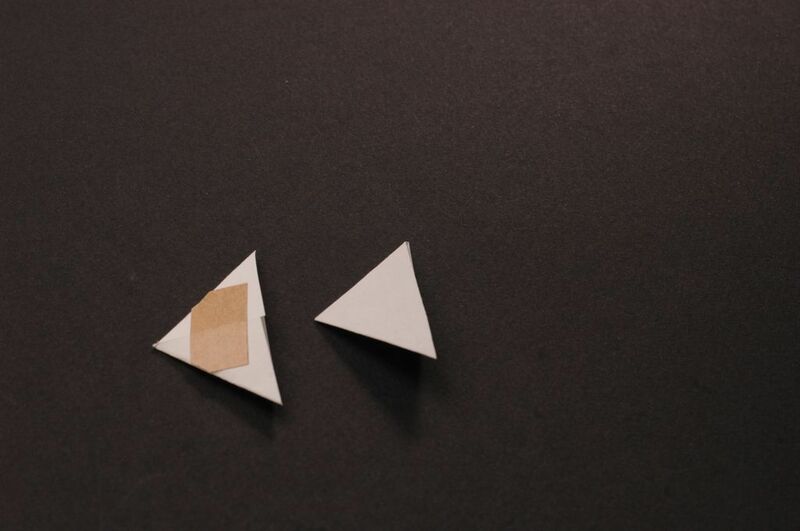 Adding archival tapes to the double faced backing is a way to further ensure the strength of the corners for heavier pieces.